In an increasingly digital world, data security has become one of the defining issues of our time, with far-reaching implications for businesses and society as a whole. All businesses and industries should be aware of security measures, and the translation industry is no exception. 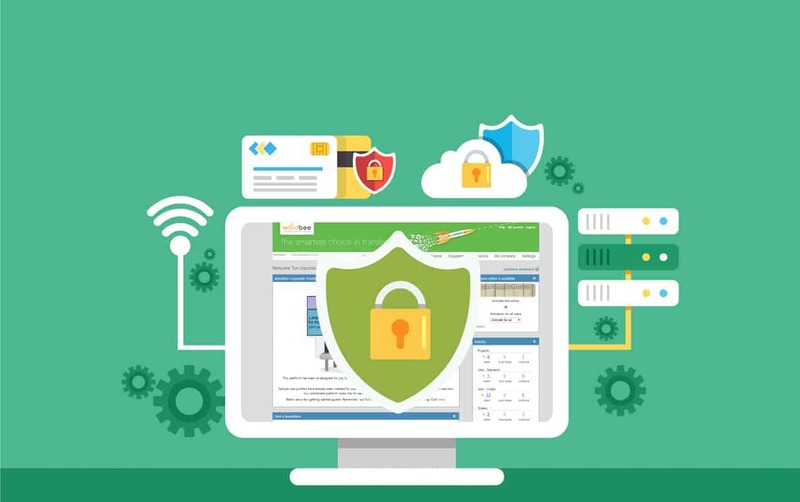 As companies seek innovative ways to improve the online customer experience and make better use of ‘big data,’ they need to know that their important documents are secure in the online world. 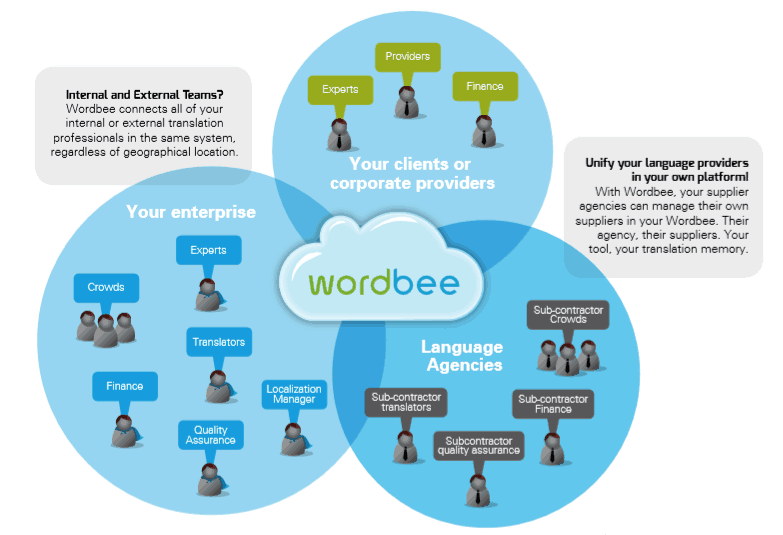 Wordbee technology helps create a secure environment to manage the translation process. Wordbee’s scalable translation ecosystem houses the translation management system and machine translation engines in a secure cloud, ensuring customer data is protected at all times. Customers, from large enterprises and agencies to public organizations and universities, are realizing the benefits of switching to Wordbee. Collaborative translation allows users to translate and proofread simultaneously, which speeds up project deliveries. Nowadays cloud servers are advanced; they have high-level security features like data encryption and routine backups, providing users more data security than that of an in-house server. Automated management reduces management time and kicks off project phases faster. Managers get total transparency over every aspect of the translation process and can even enter translations in progress to answer questions or just check up. Because everything from supplier data to prices and invoices is managed within Wordbee, you’re effortlessly organized. Routine tasks from translator assignment to invoicing are all automated. Updates and improvements to the system occur frequently and automatically, so customers are always using the latest technology. All server hardware is maintained by Wordbee as part of your package. No installation is necessary on any computer. Wordbee offers maximum privacy and security to its customers. The system provides customers with their own private Wordbee Translator, their own translation memories, and their own intellectual property. Wordbee also eliminates the need for agencies to share their translation memories with translators and greatly improves the security system of a typical agency, both of which are improvements on the last-generation desktop solutions. You can export your translation memory, and any other information in Wordbee, to standard formats like .tmx or Excel. Simply put, it’s your data and you can do what you like with it. Every Wordbee customer gets their own private Wordbee Translator. In this respect, it’s just like traditional industry software. With Wordbee, your translation is your own property. In fact, it’s more yours than ever before, because it’s centralized online in real time, so you don’t have to send it to any translators. Wordbee is a software company whose only objective is to help you with your translation software. We’re not in the information or advertising business. Your data is yours. Your intellectual property is yours and yours alone. In fact, Wordbee helps keep your intellectual property safe! Wordbee customers frequently ask about getting a Wordbee site installation instead of using the cloud solution. We always recommend the cloud solution. Why? Our cloud solution is secure and private for customers. Security and privacy being equal, Wordbee adds value when you have lower IT and maintenance expenses. In addition to the user authentication provided by Wordbee Translator, you can also use single sign-on (SSO), which authenticates your users with your existing enterprise sign-on pages. Management of user credentials then happens outside of Wordbee. Username, role, and other fields can be automatically updated from your systems whenever a user authenticates. This is for customers requiring tight integration with existing authentication mechanisms. A centralized management of hundreds to thousands of users across all corporate applications adds substantial efficiency and is often a regulatory requirement. We are proud to be part of your success.